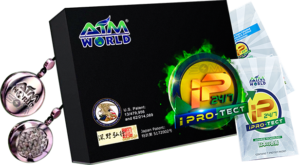 iPROTECT is an online quality product of AIMWorld. It is non-ordinary product because it has 30 years of heavy Laboratory and Clinical Research invented by Japanese scientist with the Japanese Technology. Double-patented in the US and single patented in Japan. The unique design allows anyone to wear iPROTECT anytime and anywhere. The flower of life is a symbol of balance, serenity, and harmony, a life that is secured from airborne diseases. We spend so much in curing diseases when we can spend less with preventive intervention. Keeping our health intact assures our optimum productivity and the safety of those we love, priceless. Helpful link for you: What is AIM World? You will be protected from bacteria, flu, and viruses from the air. LEARN HOW TO BE PROTECTED NOW!